Every year I make up a few cardboard broody-coops. 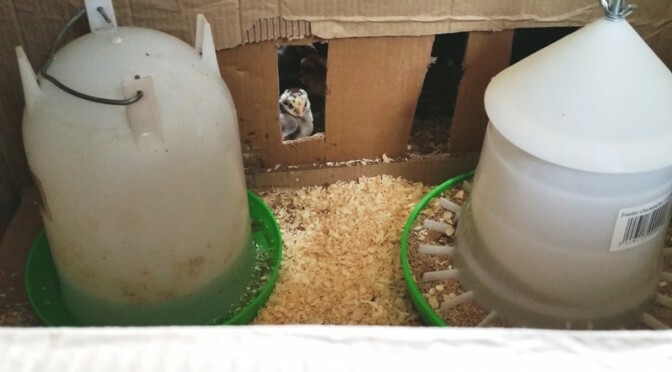 I always intend to use proper wooden broody coops on a short, perfectly mown lawn… but as chicks usually hatch in foul weather and I have a spare cockerel in the broody coop. I resort to plan B. Actually they are better than outdoor coops for the first few days at least. The only downside is after about 5 days the dust from the chicks is awful but by that time there’s feed and shavings all over the floor and it’s what the hell!